The beautiful NEW "Weston" Model 2-story home is one of numerous available plans that can be built on the rolling hills of Farm Lane Estates. Comfort, charm and choice are at your fingertips in this beautiful 2-story custom 4-bedroom home. Featuring 4 spacious bedrooms, 2.5 baths and over 2,500 square-feet of finished living space, the Weston is designed with comfortable, family living in mind. A spacious master suite features a walk-in closet and bedroom-level laundry complimented by a sprawling open-concept main living area with a family-friendly great room, deluxe kitchen with center island and eating area. A covered porch provides a wonderful welcome to family and guests and the first floor amenities continue with a large dining room, mudroom, powder room and 2-car garage. Located in perfect commuting distance from Hunt Valley, Gettysburg or Harrisburg.Minutes from Route #30 just west of York. 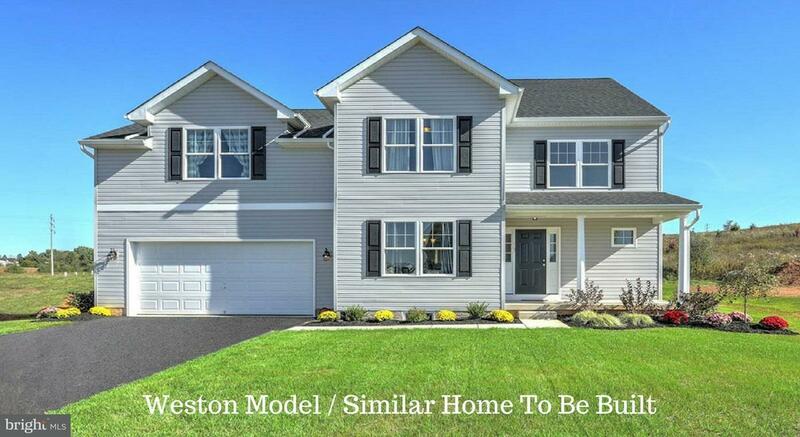 Call for an appointment or visit our Model Home located at 1151 Juniper Dr, York, PA 17408 and review plans for your new home. Price is subject to change without notice.